"Blankets that are puppets! Play all day & sleep the night away." 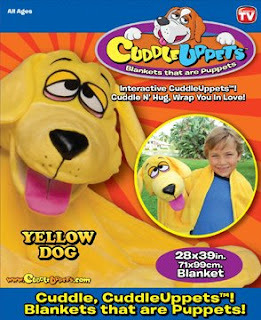 CuddleUppets make a wonderful gift for the holidays, any child would be delighted to receive one! Is your child asking for a CuddleUppet this holiday season? I hear this song, sung by my daughter, on a daily basis!